Turn your design or idea into a beautiful 3-dimensional work of art. 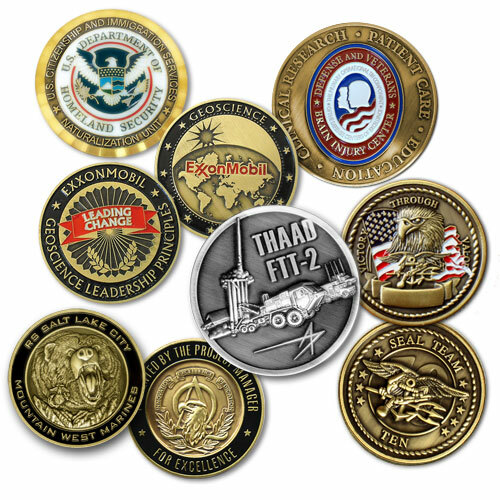 Die Cast Coins are custom-minted from scratch in any size or shape you desire. Antique Brass, Antique Pewter, Antique Copper, Bright Gold, Bright Nickel, Bright Copper. Add 20% to the price for Bright Gold finishes. Colorfilling is available for $0.20(V) per color, per side. Individual Polybag. Presentation boxes, pouches, and capsules are also available.